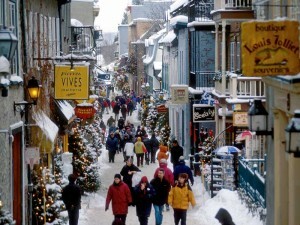 This historic neighborhood of Quebec City is classified as a UNESCO World Heritage Site. Centered around the banks of the St Lawrence River the winding, narrow streets of Old Quebec are filled with notable sites such as Notre Dame Basilica, Quartier Petit Champlain, and the Citadel. Beyond historic buildings Old Quebec is dotted with the most lovely and quaint little shops and cafes that simply must be enjoyed. Visitors to this part of town really enjoy what they describe as a “European” feel. Old Quebec makes those that stroll along its cobble stone streets more attuned with the uniqueness of the French culture being preserved so lovingly here. 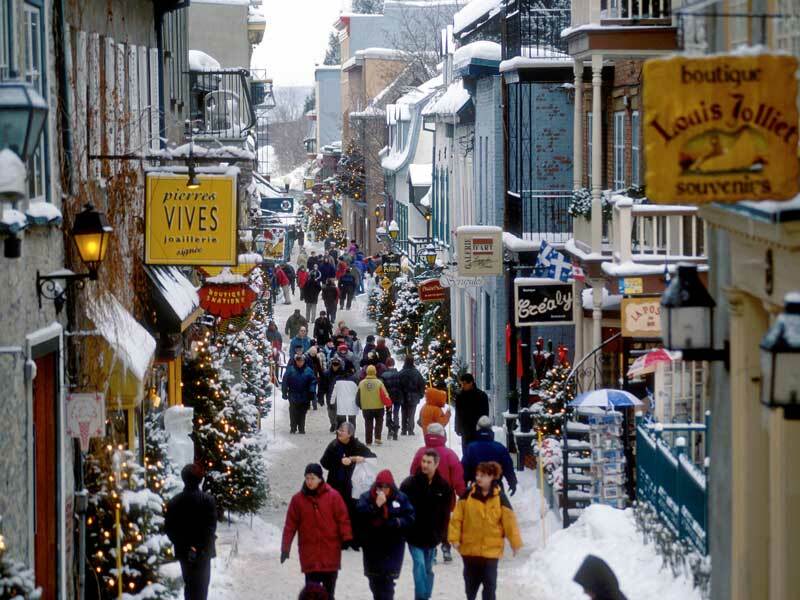 Perhaps slightly over priced, in response to the throngs of tourists that venture through it each day, Old Quebec still it is the must have experience of Quebec City. Visitors to the Quebec City that have an interest in colonial history simply must come down to the Plains of Abraham. This 267 acre strip of land, now converted into a park, is the location of the famous Battle for Quebec during the French/Indian war of 1770. The results of this battle had far reaching consequences for the province of Quebec as Canada was then ceded from France to Great Britain. Beyond the history of the Plains of Abraham, and the odd ceremonial cannon in its grounds, this truly is a lovely park space with immaculately maintained gardens. City resident’s swarm to the park for picnics, pick up soccer, cycling, and great walks. The park is free to visit and you can learn more about the above mentioned famous Canadian battle in the parks Discovery Pavilion which is open from 8:30 am to 5:30 pm each day.